In the first of our customer interview series, we spoke to Marc Thiele of beyond tellerrand in Germany. Marc runs one of the most exciting web design events in Europe. He has challenged the status quo for tech conferences and created what can only be described as summer camp for grown ups. He does it with an infectious attitude and a desire to inspire people to reach new limits of creativity and push beyond what they think is possible in their realm of design. 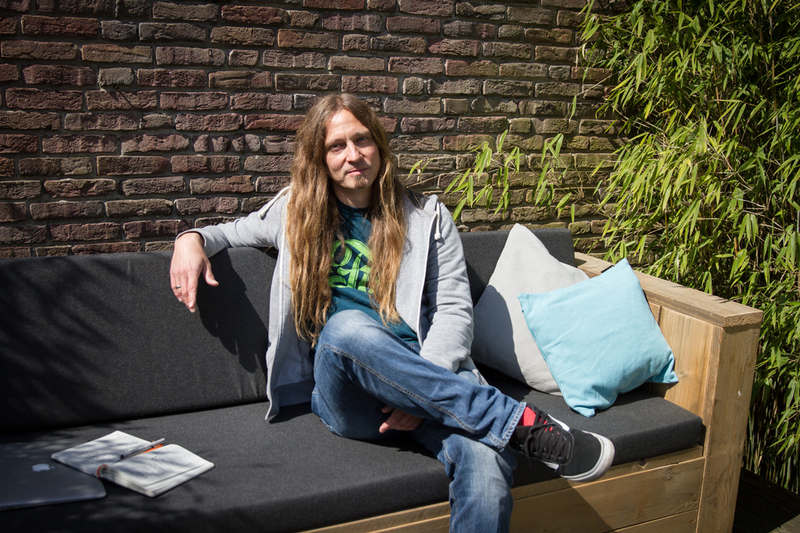 Marc began his design journey immersed in the world of C64 graphics. Losing interest during the rise of the PC movement, he decided to see what the world outside tech had to offer and began running children’s camps. During this time, he worked with a strong community of friends and as he moved back towards his first passion, it was this sense of community that he wanted to maintain. Inspired by a visit to Flash Forward conference in 2001, he made the leap towards tech events. 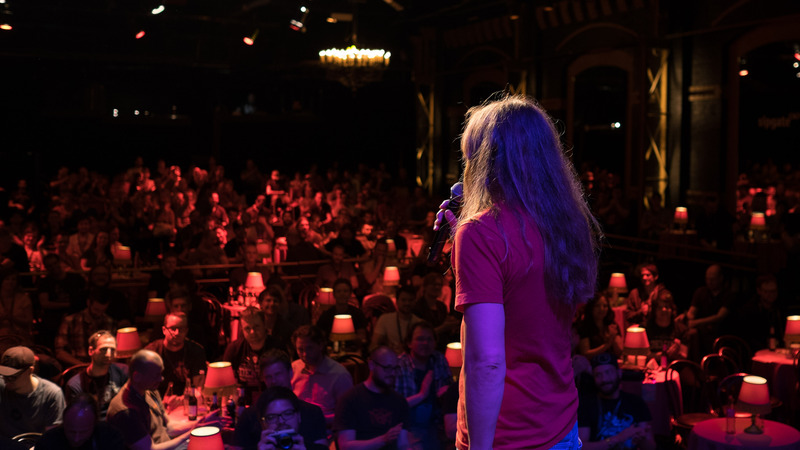 Marc began running Flashforum Konferenz (FFK) and it’s success gave Marc the incentive to dedicate all of his time to running web design conferences. Can you tell us about how you moved from FFK to starting beyond tellerrand? Taking inspiration from a German phrase meaning ‘look beyond the edge of the plate’, Marc created an event that challenged people to think outside the box and inspired them to push beyond the themes of their daily work. Attracting a varied group of speakers each year, the conference presents opportunities to explore a whole spectrum of topics including film, photography and art. A freelancer himself, Marc understands the need to create spaces where people can find fresh ideas and different ways of looking at projects. Despite this, Marc displays no ego when it comes to his assessment of how unique beyond tellerrand is. 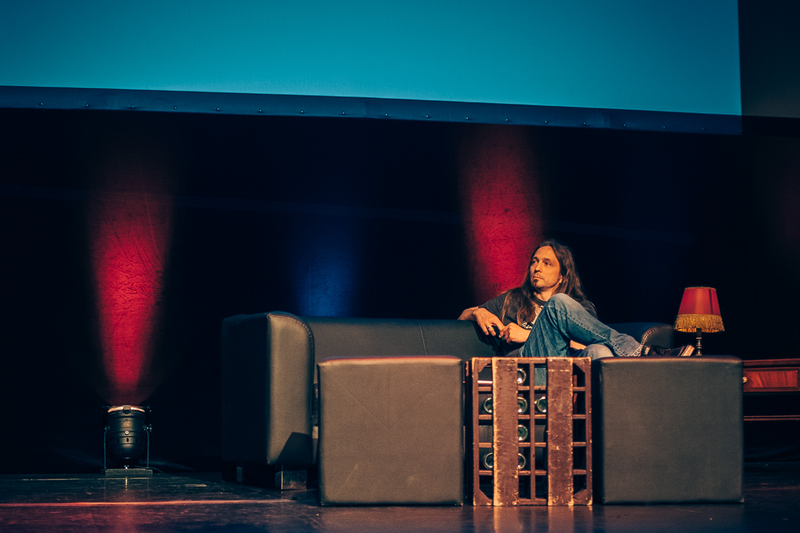 What makes beyond tellerrand stand out amongst other web conferences? “Well, first I would say that there are so many fantastic events happening around this theme right now. Whether it’s Reasons to Be Creative, OFFF in Barcelona, or dConstruct, each of them give a unique take on design and web design, offering people the opportunity to explore with like-minded people. With beyond tellerrand, I do a few things quite differently from other conferences. Of course, the calibre of speakers is always very high. But, it’s also really important to me to bring a sense of child-like curiosity, community and fun into the whole event. So whether people are taking a letterpressing workshop with Spiekermann or at an evening of entertainment delivered by Sagmeister or Chip Kidd, they leave with more questions and excitement than they came with! I want the event to feel more like a fun day out than a conference. Marc also likes to give others the opportunity to run with their own ideas for the conference. 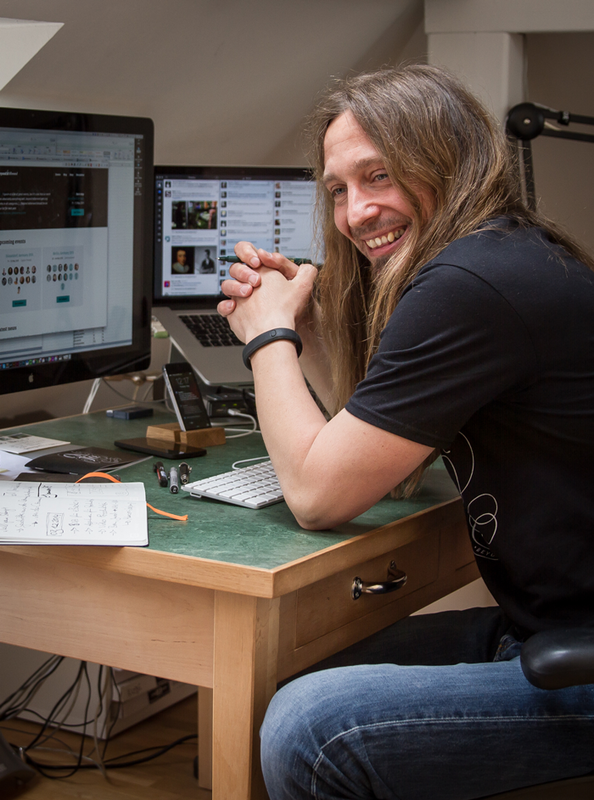 In 2012, Tobi Lessnow, a friend of Marc, suggested he could play sketchnotes from the talks to music. Now, they play samplings of the talks in the form of songs during the breaks, allowing people another chance to hear the key points in a fun and creative way. This formula of fun, community and inspiring childlike wonder in design, is clearly working. 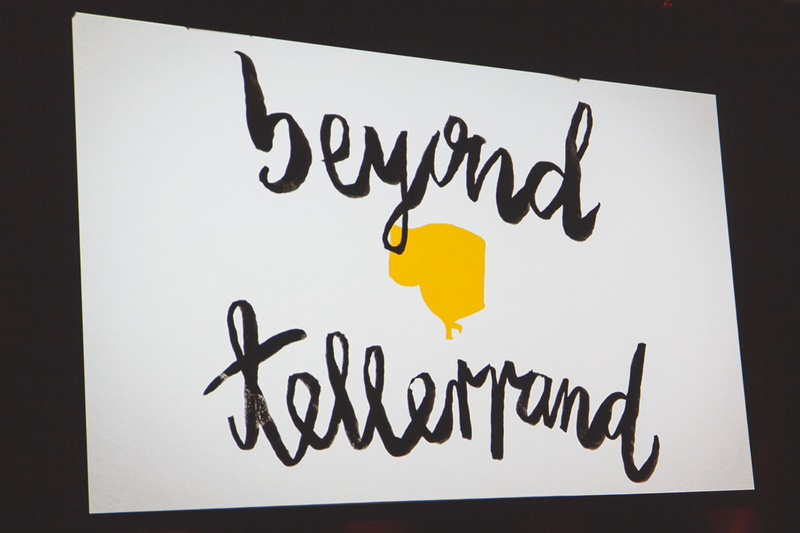 beyond tellerrand now regularly sells out, attracting over a thousand people between two annual conferences in Berlin and Dusseldorf. Of course, when you set the bar so high, people begin to expect a certain standard. And Marc is the kind of person that cares deeply about making sure that people go away each year feeling energised and inspired by something new. Instead of patting himself on the back for creating something that people love, he is constantly thinking of how he can make the next conference better. What tips would you give other people that want to run an event like beyond tellerrand? “I think one of the biggest challenges is attracting a set of diverse, high quality speakers each year. Quite often, you try to make contact by email, phone or through their agent and it can be very difficult to explain why your tech conference in particular is worth their time. I’ve found the best way of doing this is to get in front of them. Nothing can convince someone like your passion and enthusiasm. When he’s not organising beyond tellerrand, Marc is traveling to various conferences as a photographer. Like all things, he brings enthusiasm and energy to the job at hand. However, it’s obvious that beyond tellerrand is never far from the forefront of his mind. Can you tell us about your participation in other events? While beyond tellerrand is enjoying a successful run of events, there has been a lot of talk lately about the demise of web design conferences. Even as the world looks more and more towards the tech industry, many conferences have closed their doors or are taking a hiatus. What do you think about the decline of web design conferences? Marc’s positivity extends far beyond running events. He is eternally optimistic when I ask him about his outlook on the tech industry more broadly, citing the ever growing number of jobs and projects out there. He believes wholeheartedly in a culture of idea sharing and information exchange and is genuinely excited by the amount of learning opportunities now available online. He thinks it’s important we remain appreciative of all that people are willing to give of themselves in this fast paced, hyper-critical space. Is there anything that frustrates you about design in the tech industry? The world of beyond tellerrand is clearly an expression of Marc’s outlook on life; a place where one can be challenged, build a community, ask questions and find critique without criticism, all while having as much fun as a child at summer camp. Content with what beyond tellerrand is contributing, Marc is not interested in creating multiple versions of the same event. Instead, he is focused on finding more ways to inspire people. So, what does the future hold for you and beyond tellerrand? If you’d like to find out more about beyond tellerrand or buy tickets to one of the upcoming conferences, visit beyondtellerrand.com. Marc also writes a fantastic blog on the site where he shares his tips and ideas for running tech events.